I tried my best to post a picture, but it seems as if the help topics are not very clear in doing it. Re: How does one post a picture? You have to pull a picture from another web source. Either your own cloud (Pinterest etc) or off of another cloud (Wikipedia). You will either get a URL link showing or the actual picture show up. You can't upload pictures here. Is that what that icon is? I thought it was a pair of binoculars, but I just zoomed into about 1000% size, and yep, it's the Mona Lisa. Same here, but I have the excuse of eye surgery. Thanks for the assistance. What a job to get it done. The only image that uploads directly, is you avatar ... sometimes. That prevent copyright problems and storing problems. But EU wants to ban even linking URLs .. unless you pay a tax, and get approval first (from the authorities). Imgur is the easiest way. I visit a few other sites that make it easy with a button. This place doesn't. I went crazy until I learned about Imgur. Imgur already knows you. It just hides, waiting, I have stock. Bwa ha-ha. 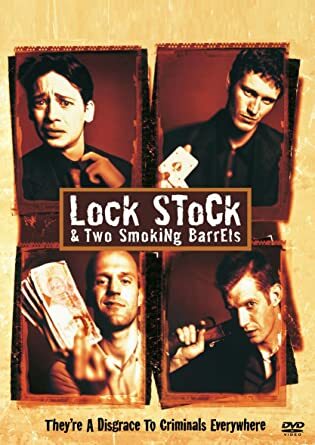 I have stock, lock, and one smoking barrel. Post that. It sounds like an image from 'THE NIGHT BEFORE HALLOWEEN'!